What Do You Do with Sticky Notes? Sticky notes were my favorite thing when teaching. I actually still LOVE them! I sort of have an obsession with them especially the colored ones. So what can you do with sticky notes in the classroom besides all those random notes stuck on your desk and computer? 1) Use sticky notes for a review. Pass a sticky note out to each student. Have students write a math problem on the note they have without the answer. You can be specific about the skill such as write a problem with adding mixed numbers or write a problem that involves finding the area of a triangle. You can also use this as an end of year review or back to school review using skills from the previous year. 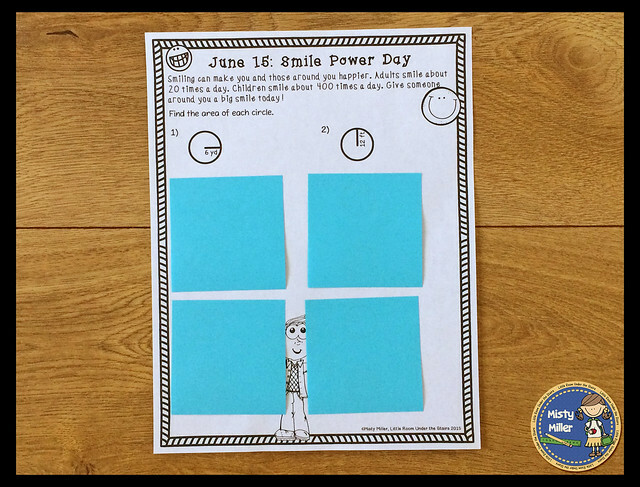 Collect the notes, and randomly pass them back out to the students for them to solve. OR You can also have students get up, mix around, give their note to someone, and sit back down to solve their new problem. (I'm all about letting students get up and move!) Check answers to see how everyone did. 2) Use sticky notes to create number lines. Give students a small sticky note. Have them write a number from a category (think ordering decimals, integers, fractions, or rational numbers). 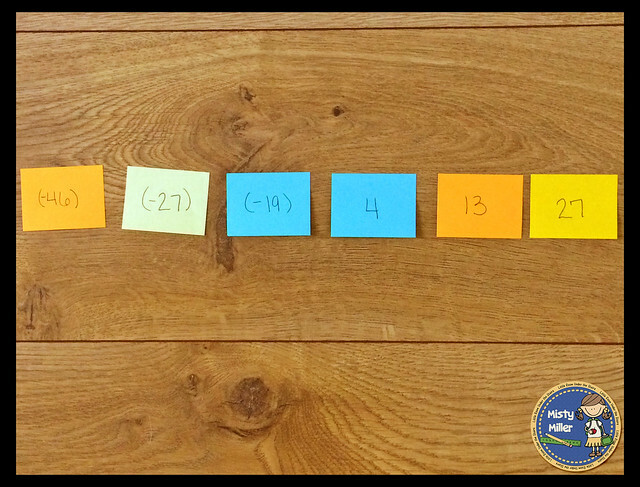 Divide the students into 2-5 groups depending on your numbers and have them create human number lines. Again students are up and moving in math - BONUS! 3) Give students a sticky note to explain their thinking. Some students get very anxious if they have a whole page to write on. Keeping the explanation space smaller can relieve that anxiety a bit. 4) Do you have students that shut down if they see too many problems on a page? Use sticky notes to cover up some problems on the page. They can remove the sticky notes as they work through the problems. 5) Exit Tickets. No need to print anything off. 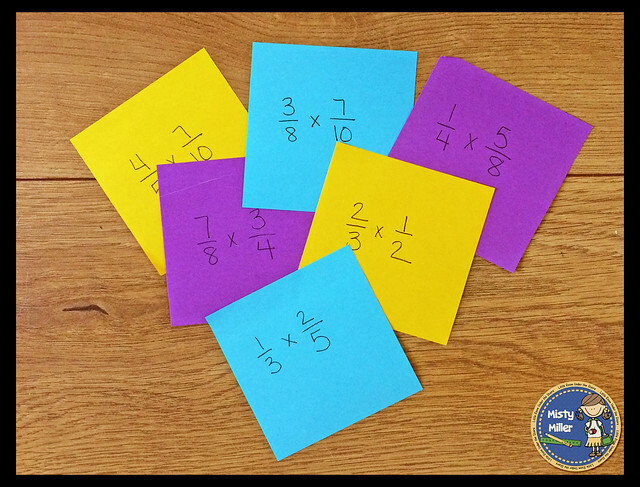 Pass out a sticky note to each student and have them solve the problem that you put on the board. They can then stick them to a certain board, cabinet door, or wall space as they leave. 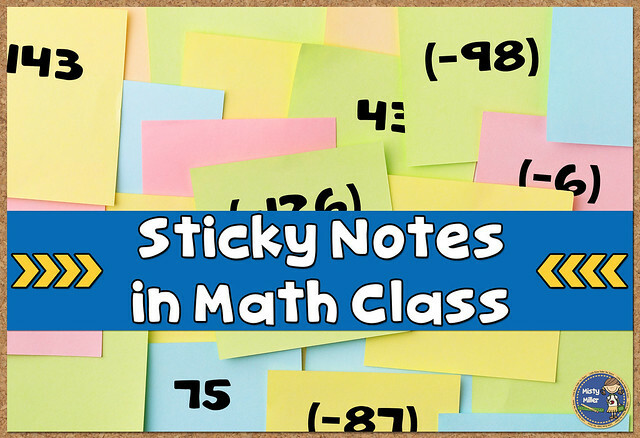 Sticky notes just add a little something extra to math. 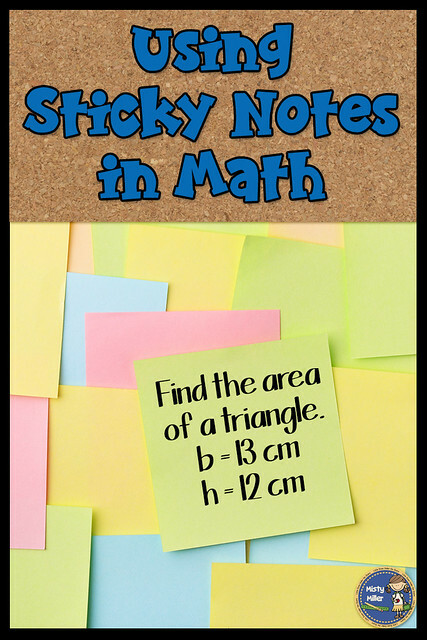 So get yourself a stash of sticky notes and let your students use them! Your students will be excited about math! Tell me below your favorite thing to do with sticky notes! Need some more ideas to engage your students in math? Sign up for my newsletter below.